Let your kids imaginations run wild at their next birthday when you have a face painting party. They can be anything from rainbows and flowers to superheros and zombies. 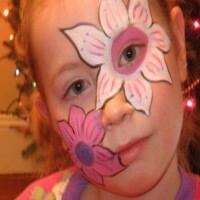 Here is a list of face painters in Virginia ready to help make birthdays brighter. 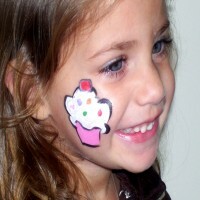 Bring in a face painting artist to add a little spirit to your kid's next birthday. 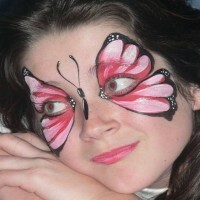 Adventure in Fun offers a multitude of full face designs, from butterflies to tigers to super heroes. With their easy to wash, free hand designs on cheeks, faces, and arms, you will be sure to add a splash of color to your event and make it one to remember because they make face painting fun for everyone! They only use high quality, non-toxic, hypoallergenic, FDA compliant face paint and body art supplies. The design can be easily removed by soap and water or baby wipers. Face painting is a wonderful addition to any event as it's a magical experience for children, and it will create long-lasting memories.Adventure in Fun also offers glitter, airbrush and henna tattoos! Call them today to discuss packages and details! Their professional face painter artists offer a wide variety of designs to choose from, including small designs, cheek, full face and airbrush. Guests can select from pre-designed drawings the artists bring with them, or ask about creating something completely unique! Your party guests, young and old, will be delighted as they watch themselves transform into a butterfly, cat, dog, tiger or anything else they imagine! Welcome to Happy Faces and Body Art in Hampton Roads, Virginia. 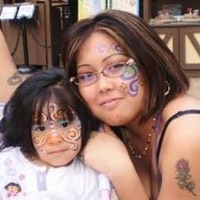 They are the best face painters offering quality designs. Their main objective is working together so as to create fun through colorful designs right on your face. Their artwork makes sure that every imagination is brought to life. They are always available for any events such as birthday parties, fund raisers, etc. They are here to make every kid have fun. Making your IMAGINATION be your CREATION! Since 2001, they have been dedicated to making the children happy in VA. They have a team of professionals with great passion in artwork and dedicated to providing high quality artwork to their customers. They use high quality face and paints in the market. They are always ready to ensure happiness to your kids at events such as birthday parties, festivals, amongst others. Their wide range face painting services are affordable. Located in Richmond, Krazy Sprayz is owned and operated by Mike McCauley who is refined to bring the best art available. Although specialized in automotives, Krazy Sprayz will definitely give outstanding services for face painting. The business has established a great reputation due to its wide range of quality services. Krazy sprayz enables great art designs to the kids' faces. The business has qualified staff members who are experts in art and design and are ready to put that smile on the kids' faces. Sunrise Face Painting welcomes you to the world of face paint and glitter. It is a wonderful way to make your guests entertained at events. 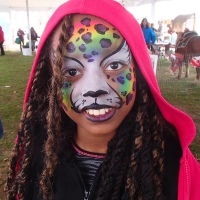 Sunrise Face painting in VA is ready to make your kids feel mesmerized and have lots of fun. They offer great pieces of artwork that will make events such as birthdays and festivals enjoyable and more so memorable. Sunrise Face Painting gives the best that art can offer.